2. Your hands are free ! Controlled by waist instead of hands, our design offers great convenience in controlling and you hands will never meet leash burns. 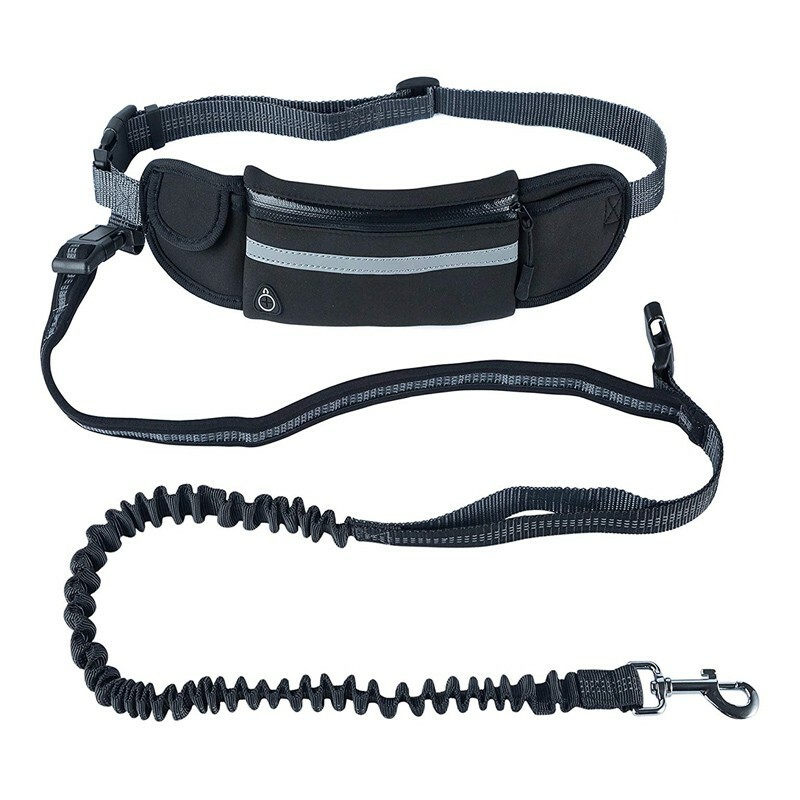 Bungee cord can absorb shock in running and reduce pulling from your pet. Choose us to make running better! Why Dog Need Outdoor Exercise? Pets are natural animals who have born with active instincts that require them to explore the wild world. If human always stay at home without outdoor activity, we will be upset. Just like human, lacking of outdoor exercise can bring many problems for pets as well such as boredom and restlessness, destructive chewing or digging, which can really drive you crazy. But it's not your furry friends' fault. They just need to play outside, so just wear your puppy a leash and take him out for fun. That can strength the bond between you and pet as well.